Microsoft Edge will become the default browser on Microsoft's latest operating system, Windows 10, and sees the tech firm moving away from the 'hated' Internet Explorer brand. Not everyone shares the hate for Explorer though, with Ford quickly giving its pun-fuelled two cents on the news. Microsoft quickly fired back with its own Dad joke. Microsoft revealed in March that would it was looking to ditch Internet Explorer as the default brower on Windows. The company is increasingly moving towards more cohesive branding across its products, including mobile, hence the addition of 'Microsoft' to the new browser's name. The biggest change sees Microsoft integrating its voice assistant, Cortana, into the browser, much like Google Now's integration with Google Chrome. Microsoft Edge also has a brand new logo, albeit an evolution on the classic Internet Explorer logo. Edge features a refreshed New Tab page, which displays the user's top pages, related apps, featured apps, and personalised information. The browser will also eventually feature Web Extensions, browser plug-ins that add functionality. 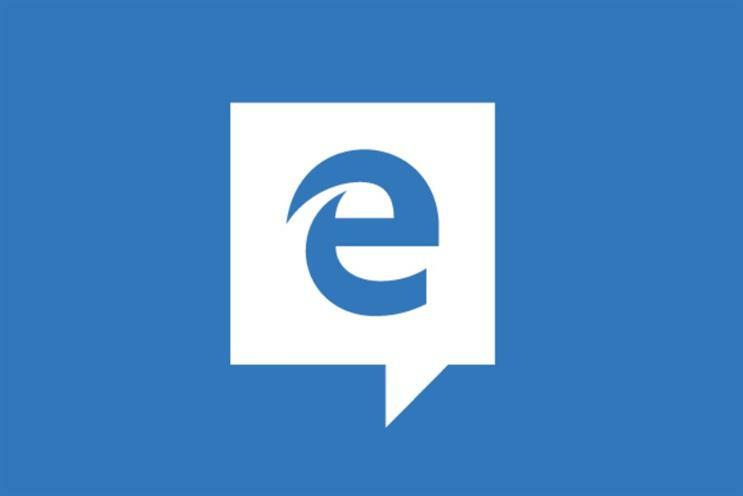 According to Joe Belfiore, Microsoft's corporate vice-president of the operating systems group, developers will be able to port extensions that work with Chrome and Firefox to Edge with relative ease. The new browser will be released with the company's updated operating system, Windows 10, likely towards the end of the summer. The company has not specified an exact release date.